A "golden master," sometimes known as a "gold master," is essentially the finished version of a piece of software, but still technically pre-release and may be updated. Developers can fetch the iOS 12 and tvOS 12 GMs (builds 16A366 and 16J364) from the Apple Developer Center, or as over-the-air updates if testers have the proper profiles. Members of the public can download over-the-air if they're enrolled in the Beta Software Program. The watchOS 5 GM (build 16R364) is available strictly to developers, as with prior betas, and must be installed using the Watch iOS app's usual Software Update tool. 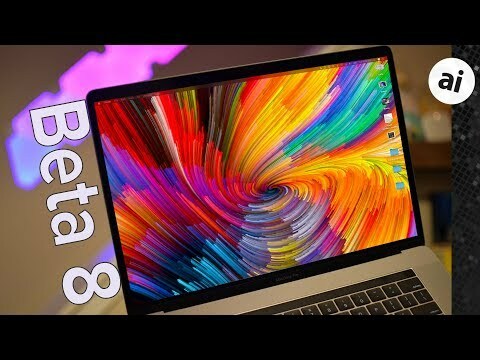 macOS Mojave is in its eleventh beta, build 18A389. The final version of iOS 12 is set to arrive Sept. 17, as is tvOS 12. Apple claims the performance improvements in iOS 12 will be useful for both newer devices and for older hardware, keeping previous models of iPhone and iPad up to date and making them feel faster. An extra benefit for iPad users is the addition of iPhone X-inspired gestures and notification grouping. A big focus of iOS 12 is that of "digital health," with the inclusion of tools like Screen Time to monitor a user's usage of apps, and options to curtail the usage of specific time-wasting apps by applying usage limits. In theory, this will help users avoid spending too much time on unproductive apps and services. 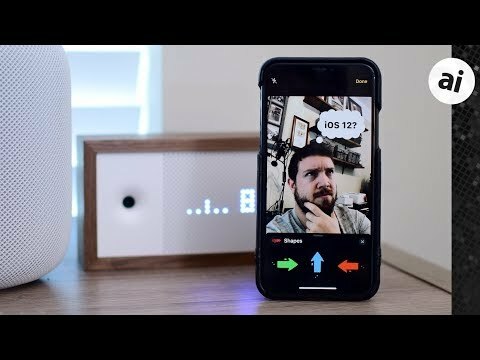 New versions of the stock iOS apps are added in this release, including Stocks, News, Weather, and Voice Memos, along with a new Measure app that uses ARKit to determine the size of real-world objects using the device's camera. Siri Shortcuts, personalized MeMoji, and third-party navigation support in CarPlay are also arriving. One notable item that won't be available on the 17th is Group FaceTime, which allows up to 32 people to be involved in the same video chat. It should make an appearance at a later date. This update adds Dolby Atmos, a surround-sound technology that can position sounds in 3D space without relying on discrete audio channels. A number of home control system producers have meanwhile pledged support for the Apple TV, as well as compatibility with Siri interactions. Cross-device AutoFill aims to simplify the process of getting into apps on the Apple TV if they were already signed into on an iOS device, eliminating the need to enter credentials a second time. Some cable services will turn single sign-on into "zero sign-on," with the Apple TV automatically enabling channel apps after detecting the provider's network and the user's subscribed package. 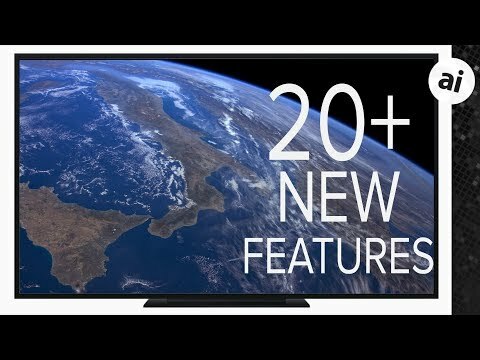 Some cable services have announced they intend to use the Apple TV as an alternative set-top box compared to the usual cable box, with Charter Spectrum set to start doing so later in 2018, along with France's Canal+ and Switzerland's Salt. Lastly, the Aerial screensaver has been updated with the ability to show more details about locations, and a new "Earth" view that will show the planet as filmed by the International Space Station. Another Sept. 17 release, arguably the biggest noteworthy addition to watchOS 5 is the Walkie Talkie app, which enables push-to-talk communications with another contact's Apple Watch. Pressing the on-screen button opens the line, with anything said by the sender automatically played out by the receiving Apple Watch's speaker. The Siri watchface can now include elements from third-party apps, such as those by Nike. In any situation, Siri can be triggered by simply raising the wrist instead of having to add "Hey Siri." Activity competitions can be set up between Apple Watch users, allowing friends to work out against each other, check each other's progress, and win awards at the end of the contest period. New workout types are supported, including yoga, hiking, and 12 others, while outdoor runners will see pace alerts. Automatic workout detection will start a workout on the Watch if one is detected, while a stress detection function can alert the user if it is determined they have stopped the activity. Graduating from the dock, the Stacks productivity feature allows users to quickly clear their desktop by automatically sorting files and folders into groups. The Finder gains a new Gallery view which displays media and metadata, with extra options for contextual quick action links for performing automated changes. Quick Look adds the ability to access Markup functions without leaving the menu, including the option to trim video clips without the user opening a separate video editor. An updated screenshot HUD simplifies the process for taking images or video of the macOS desktop, with the task apparently also reducing its load on the processor compared to previous methods. For some Mac apps, the Continuity Camera function can insert an image taken from an iOS device's camera into a document, without requiring the image file to be transferred manually between the devices. As part of a project to enable iOS apps to work on macOS, Apple is including a number of its own first-party apps in macOS that are ported from iOS, including versions of News, Stocks, and Voice Memos. A fourth app, Home, will allow the Mac to manage a HomeKit network. The Mac App Store has been refreshed with an iOS App Store-inspired makeover, borrowing elements such as video previews of apps. Updates to the machine learning technologies Create ML and Core ML2, as well as the highly-requested Dark Mode UI, are also included. macOS Mojave will ship Sept. 24.
macOS Mojave for public beta tester out also.